Andrea completed her Bachelor’s degree in Human Kinetics at the University of British Columbia, followed by her Master’s degree in Physical Therapy at Queen’s University. In addition to physiotherapy, Andrea is also certified to perform acupuncture and is certified in IMS. Additionally, Andrea has completed Level 3 of the prestigious Advanced Orthopaedic Manual and Manipulative Physiotherapy program. Andrea’s interest in physiotherapy began while spending considerable time rehabilitating her own sports injuries when growing up. After personally experiencing the benefits of physiotherapy, Andrea became motivated to help others experience these same benefits. Andrea has a variety of interests and clinical experience including sports, orthopaedics, workplace injuries, injuries caused from motor vehicle accidents, arthritis, osteoporosis, pre/post surgical rehabilitation, and helping those suffering from back and neck pain. Andrea has a particular interest in running injuries – having taken numerous post-graduate courses in the treatment of these injuries. 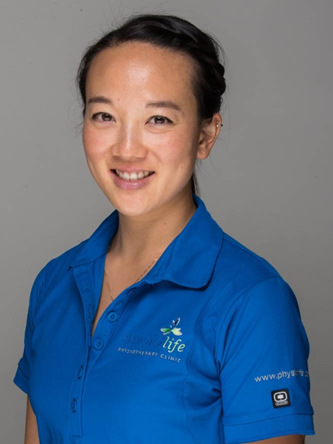 Andrea is constantly taking additional training in other areas too – to date, Andrea has taken courses in therapeutic taping, cervical spine articular dysfunctions, and the Mulligan concept. Andrea’s sport involvement includes working with the Richmond Roadrunner’s lacrosse team, the 2012 BC Summer games, the Canadian Open Fastpitch International Championships at Softball City, Earl Marriott Football, and Americas Masters Games. Andrea has also given presentations to local running groups on injury prevention and performance.